The warm weather of Spring may have you interested in getting outside. While you can manually track and enter your daily or weekly rides, we have a number of tech solutions to not only make it easier to submit your miles, but provide you with a wealth of other activity information for any health and fitness goals you may have. If you have a smartphone, you already have the basic hardware needed to track your ride. Several apps are available across the Android, iOS and Windows platforms to help track both rides and runs. Four apps in particular have the ability to directly sync your riding activity to the National Bike Challenge website once you setup your account. Those apps are Strava, Endomondo, MapMyRide and Moves. Most of these apps will have both free and paid versions depending on your needs. For new riders, the free service will use your phone’s GPS to track your ride and give you helpful information such as the total and distance time travelled, average speed and even calories consumed. 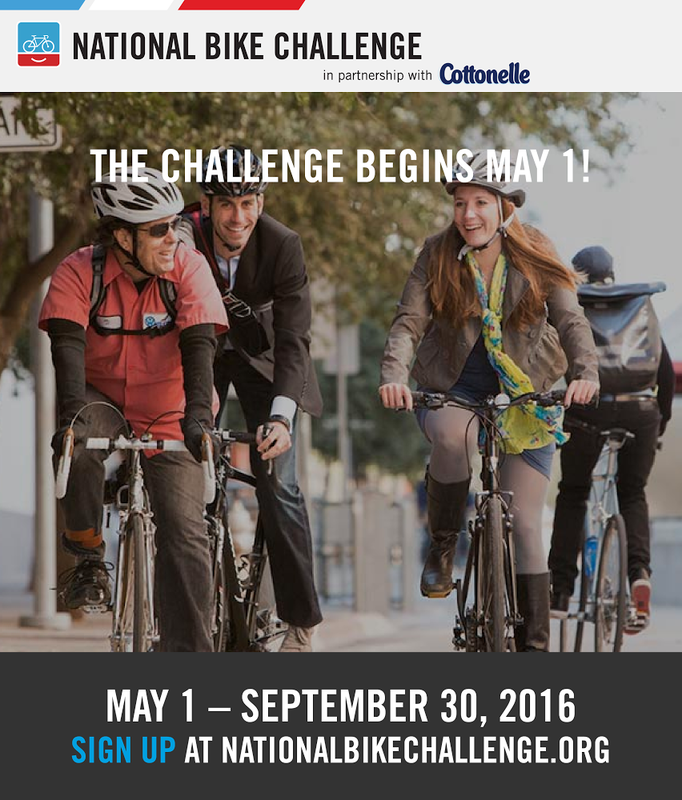 Syncing with the National Bike Challenge site is included. Paid subscriptions to those apps usually include more in-depth information for advanced riders looking to improve their rides, including specific segment information, as well as the ability to record heart rate information from Bluetooth monitors like the Polar H7 or the Mio LINK Sport. For those looking to go beyond the information available via their smartphone, or simply to avoid running down the phone battery, there are dedicated devices available. Cycling GPS units attach to a bicycle with sensors that can track speed, distance and cadence, with an easy to read display on your handlebars. Units like the Magellan Cyclo 315 or the Garmin Edge Touring can use the GPS feature to not only track your ride but provide directions on pre-loaded routes. Some models include the ability to pair with a Bluetooth or ANT+ heart rate monitor. GPS watches, like the TomTom MultiSport with Heart Rate Monitor or Garmin Vivoactive can be used across sports. Their small form factor makes them a great choice for those who run as well as ride. Another great feature of any of the services used to sync to the National Bike Challenge site is their ability to share your progress with others. Most have their own community aspects, allowing you to follow (and challenge) friends, as well as share your progress with your favorite social media sites like Twitter or Facebook. Even within the National Bike Challenge site, you can create both local and national teams for schools, organizations or work. However you track your ride, the end goal is to get out and be more active. Stay safe and enjoy the trip! Next Next post: Three-Two-One Backup!